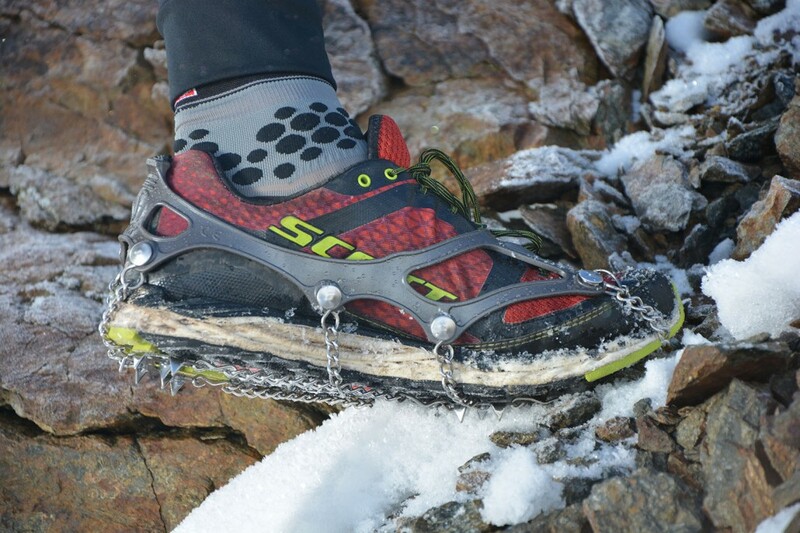 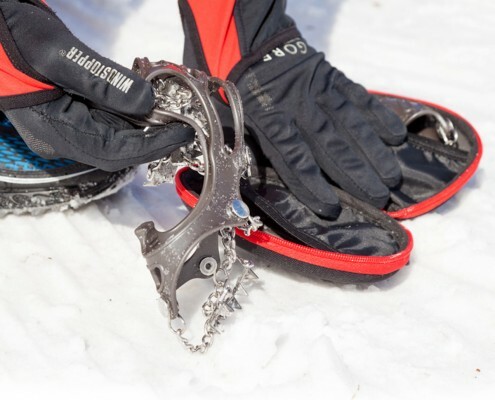 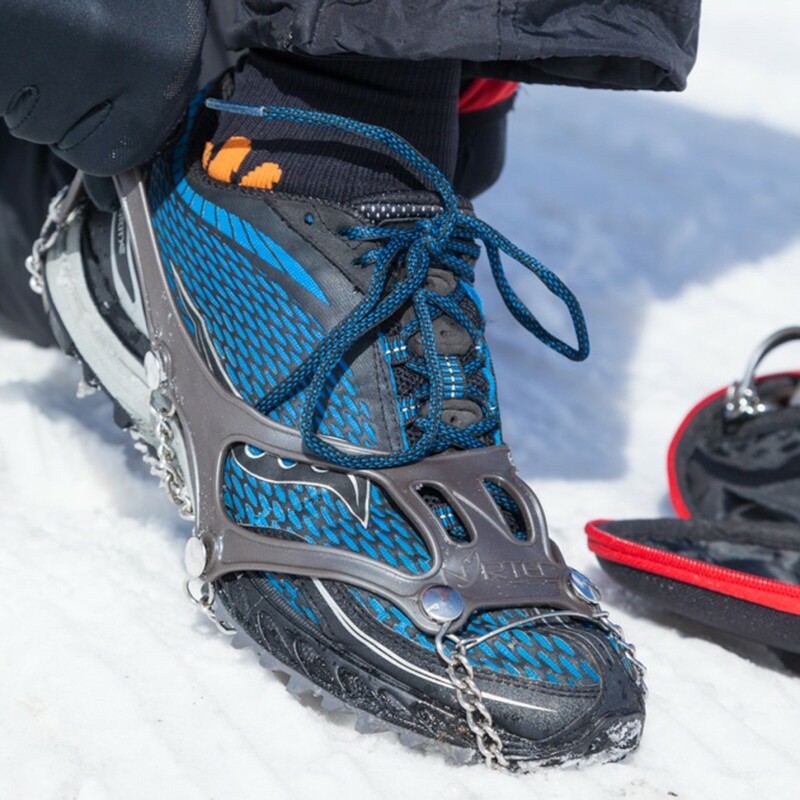 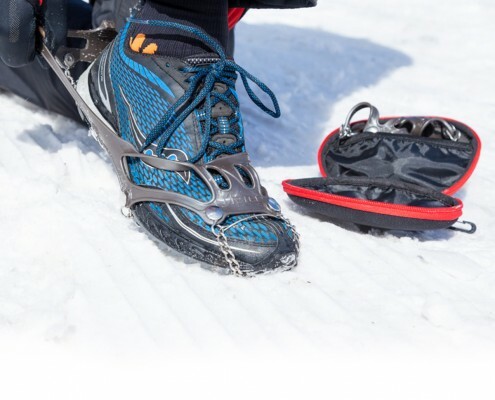 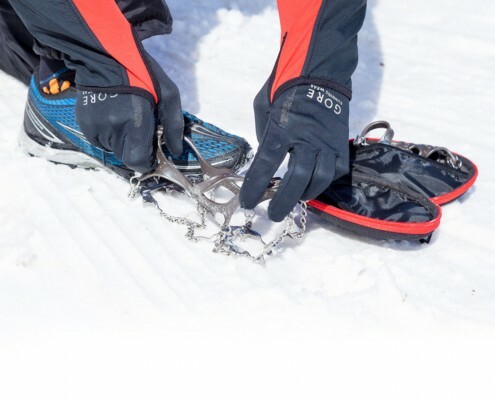 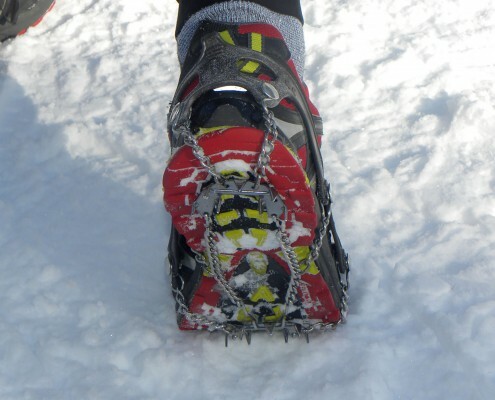 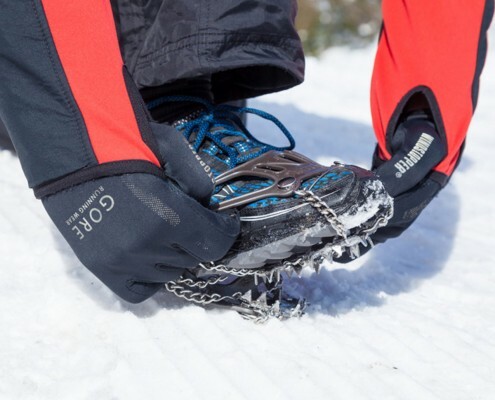 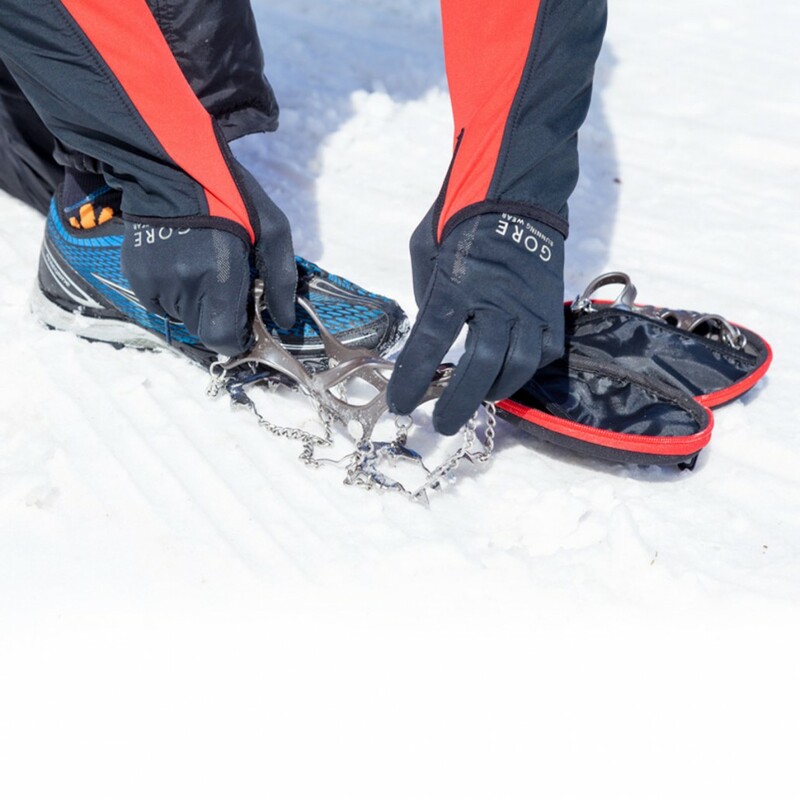 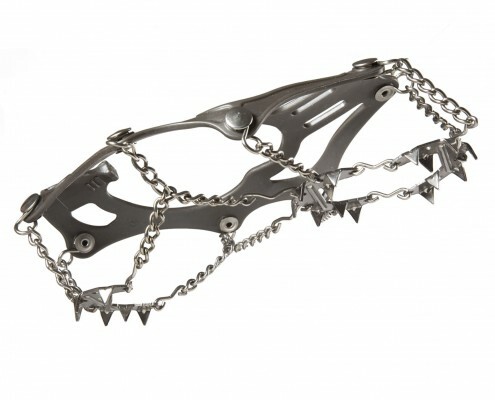 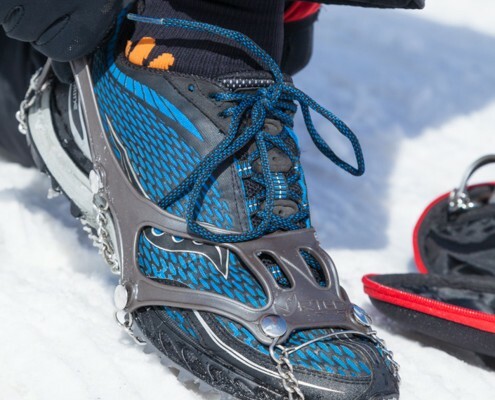 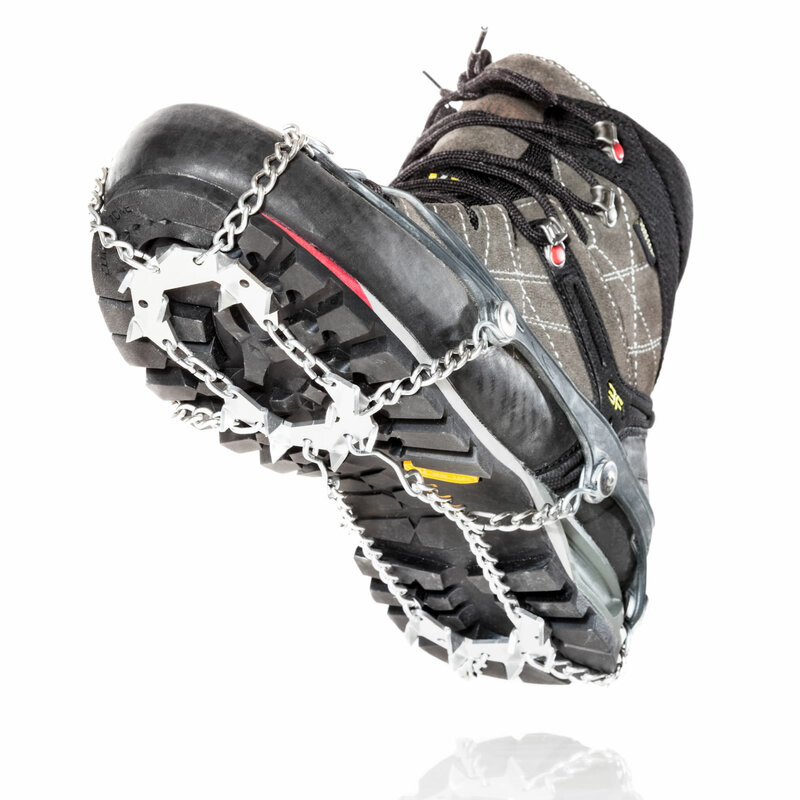 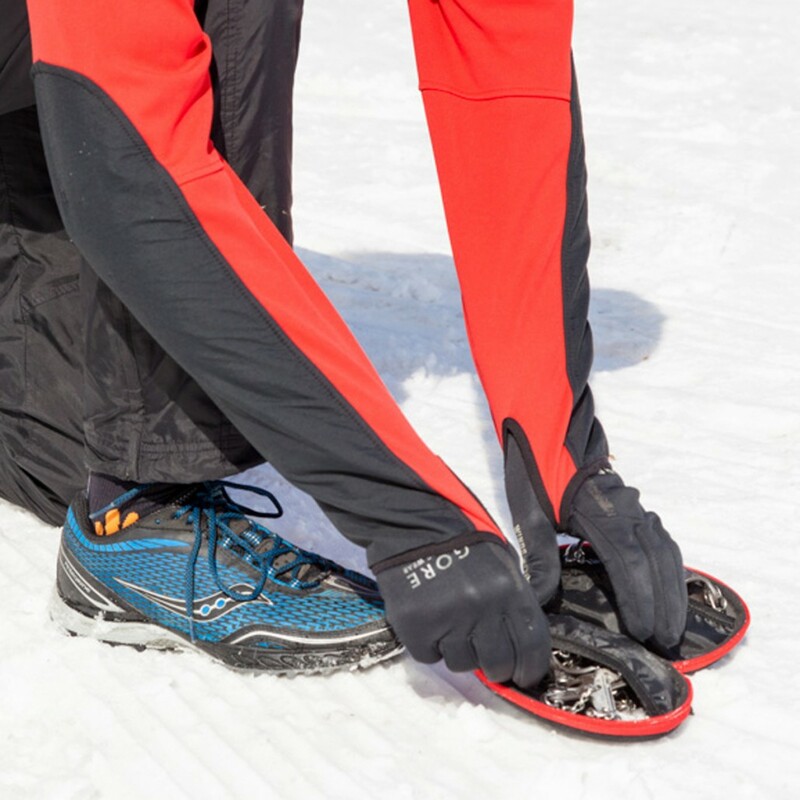 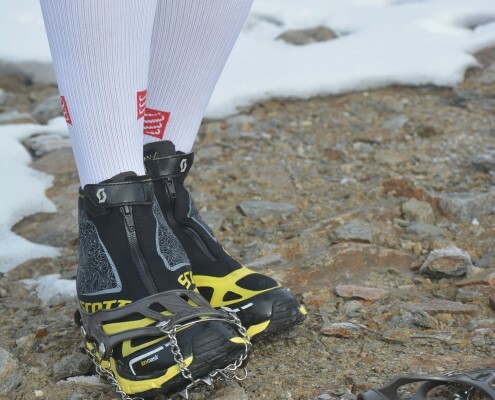 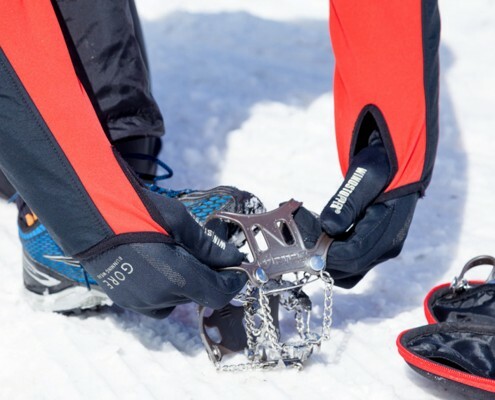 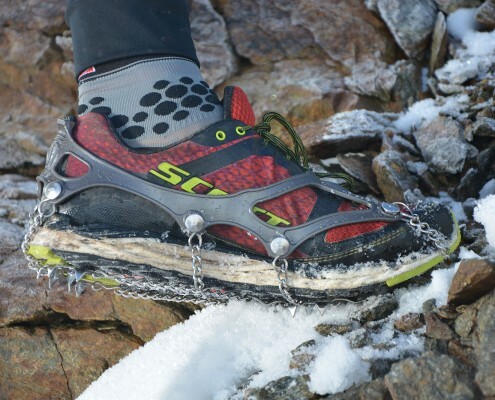 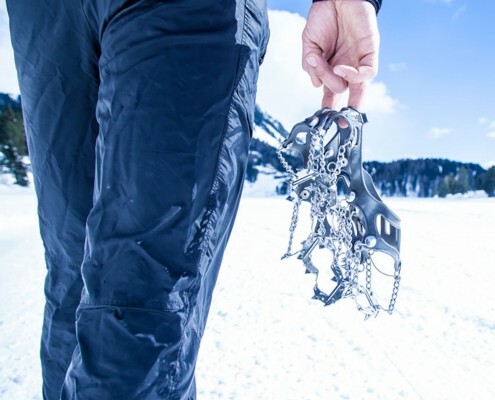 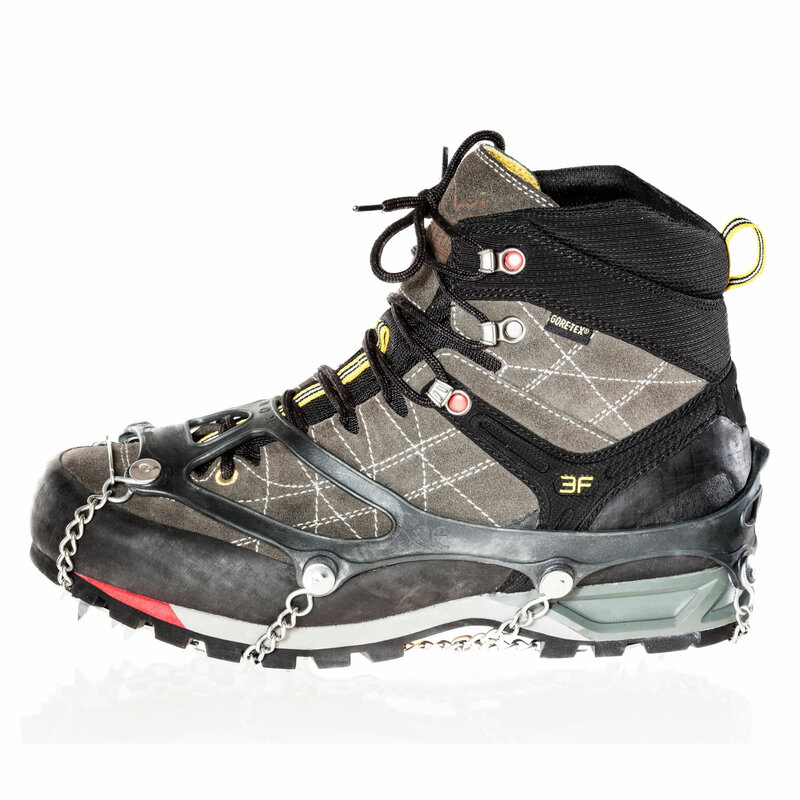 Quick fit crampons made by an elastomer interconnected to a tread stainless steel structure under the shoes realized through a combination of chain elements, connectors and crampon plate. 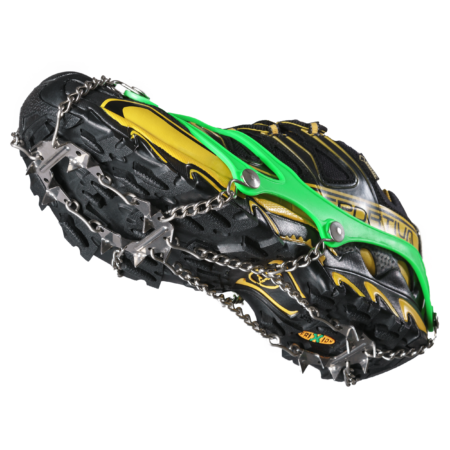 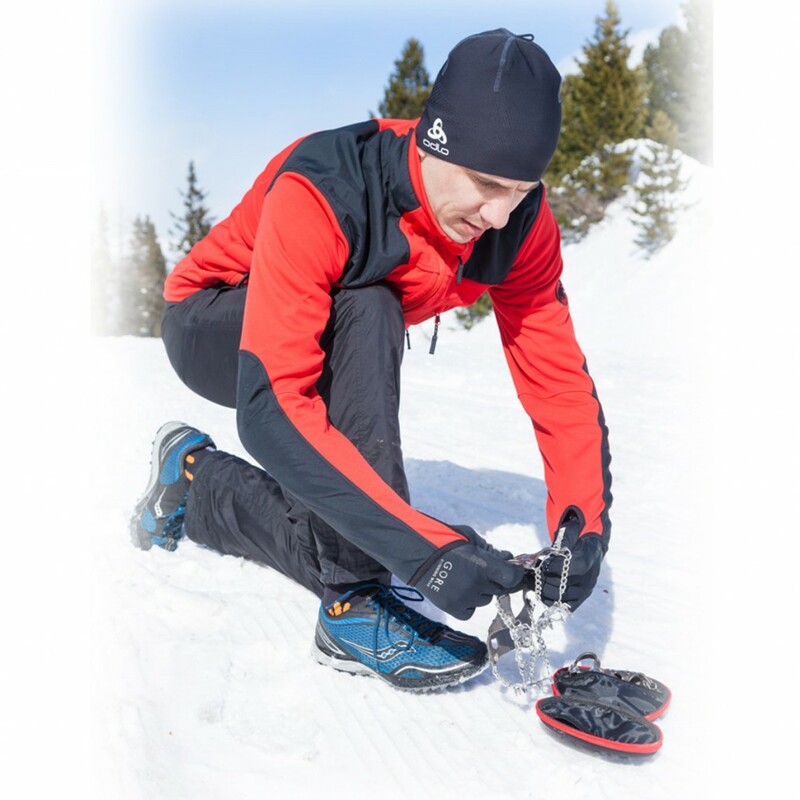 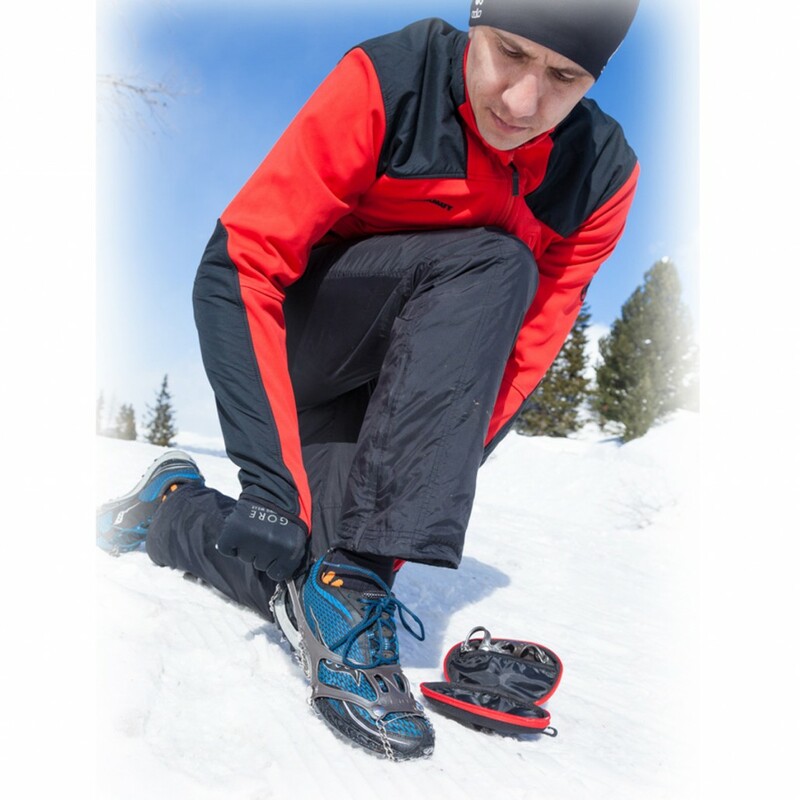 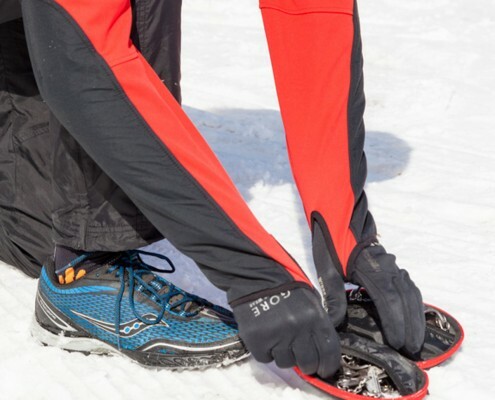 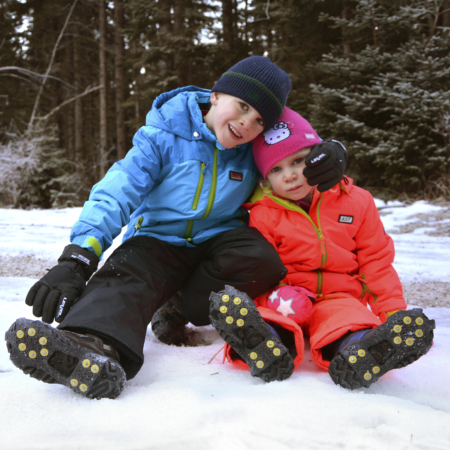 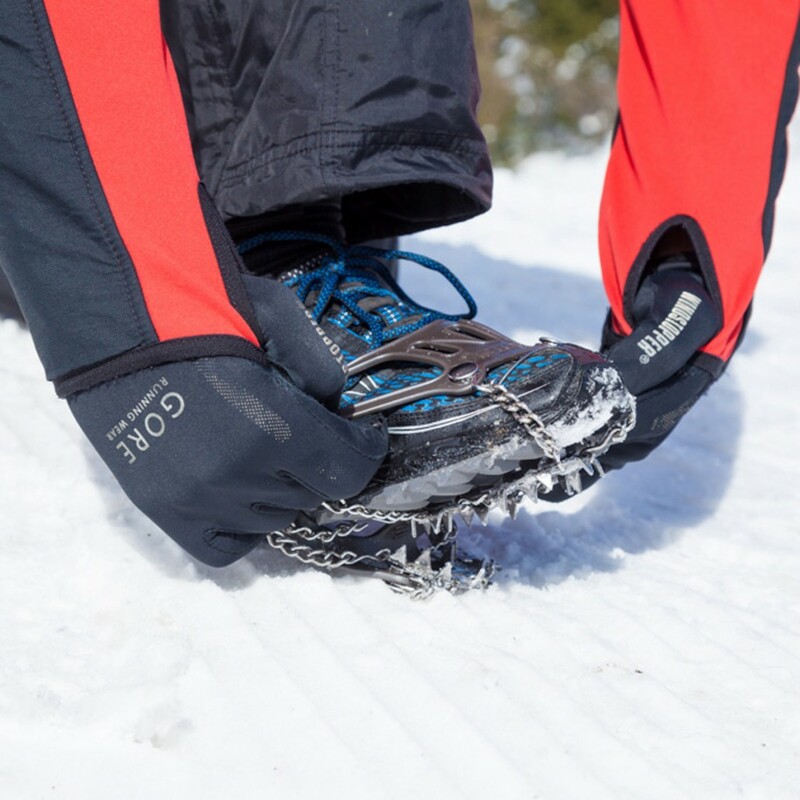 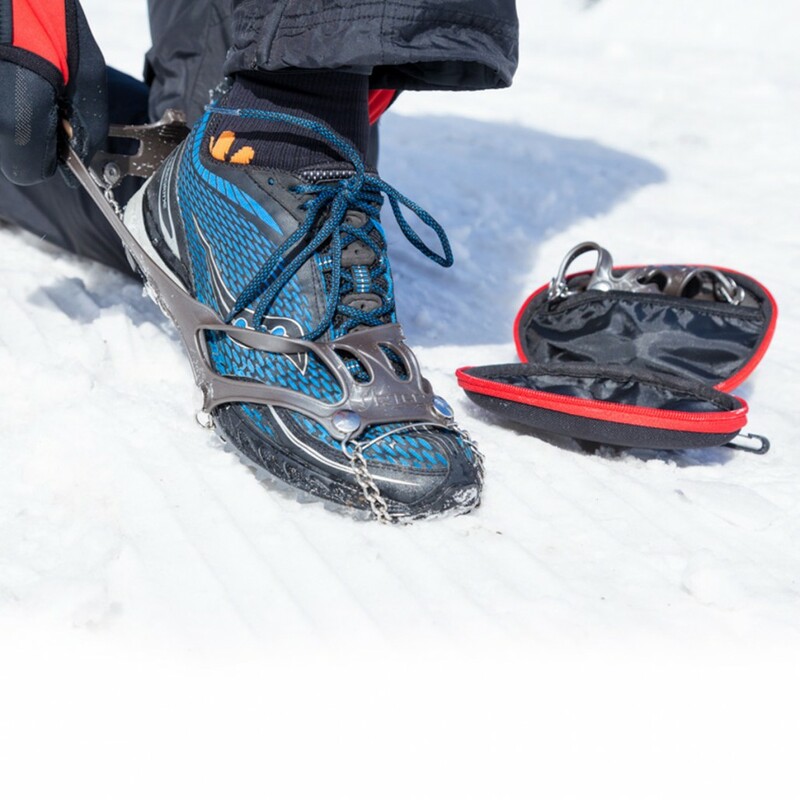 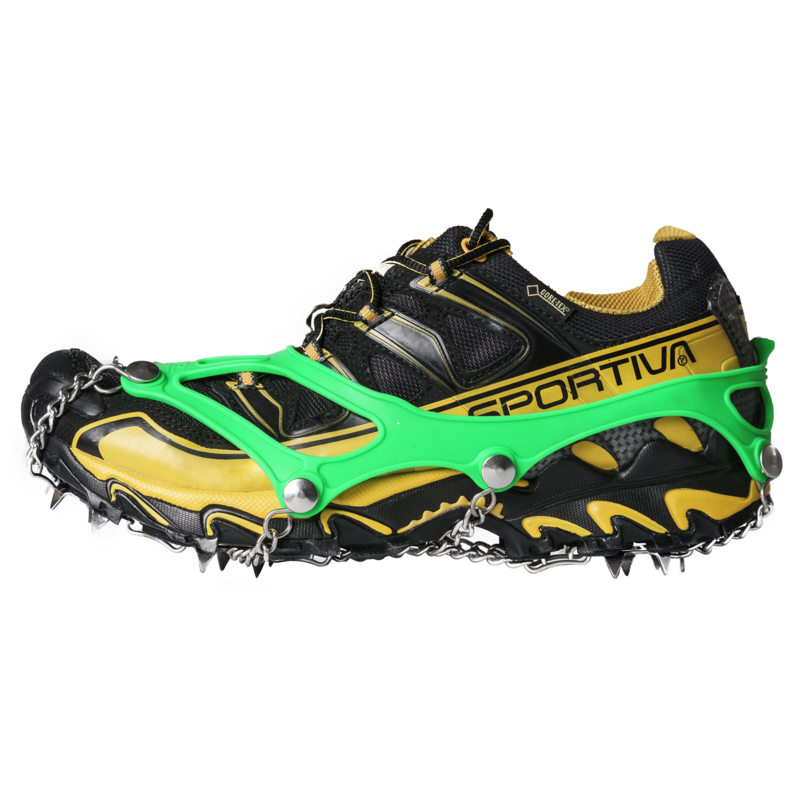 The crampons allow you to move in perfect safety on the snow, ice and low adherence surface (mud undergrowth, foliage, etc.). 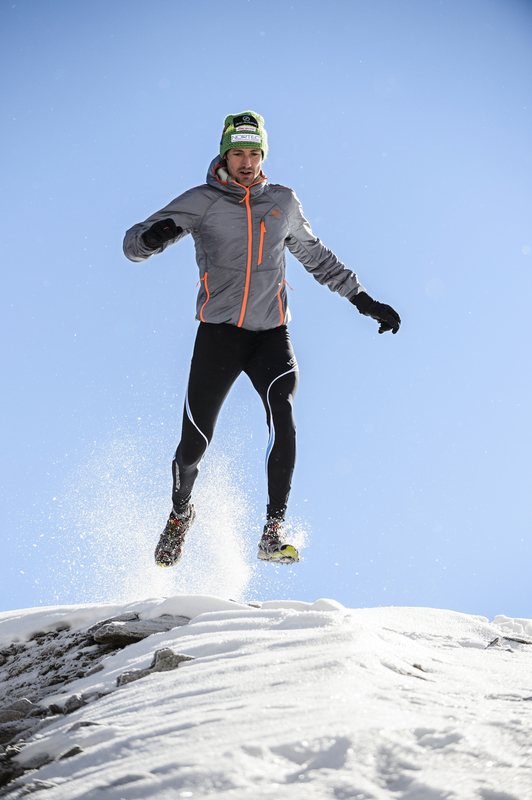 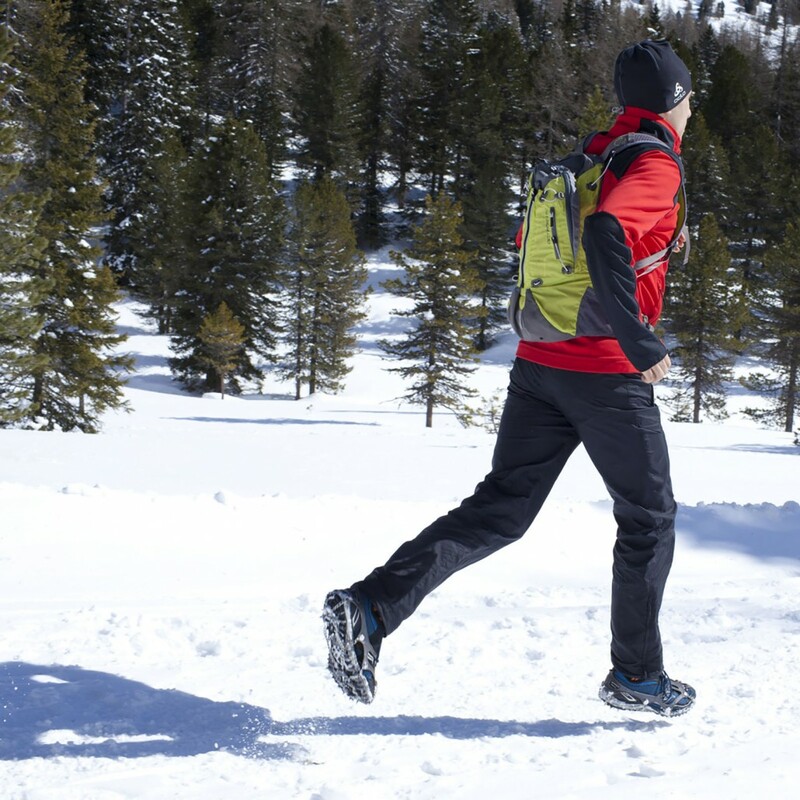 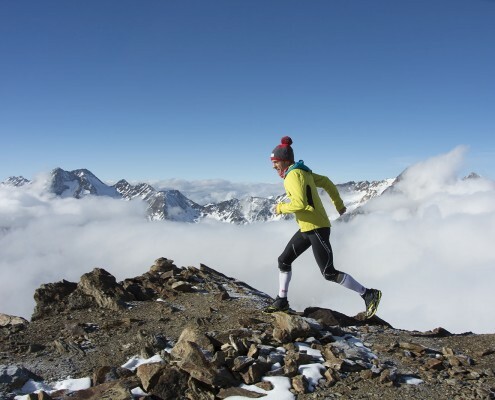 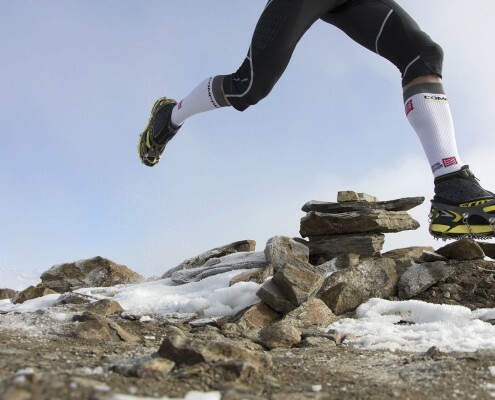 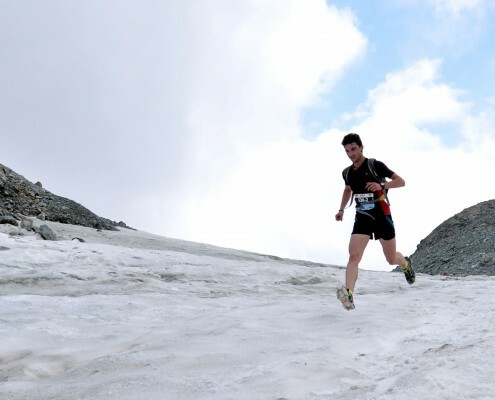 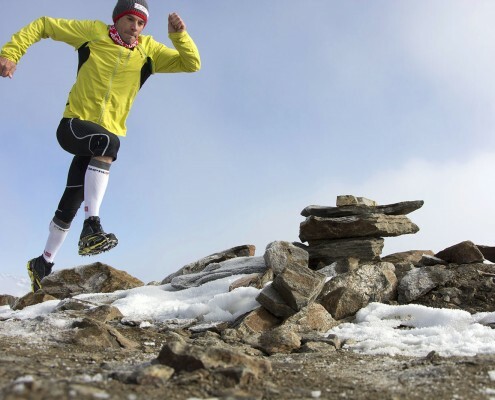 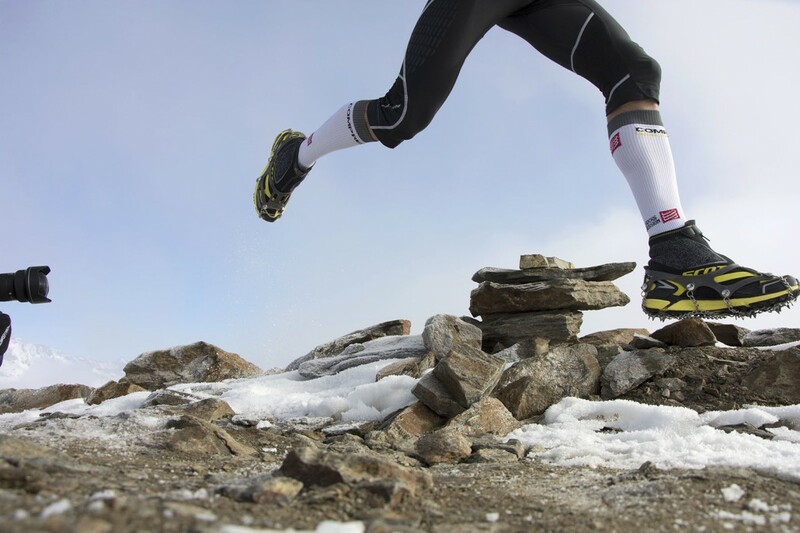 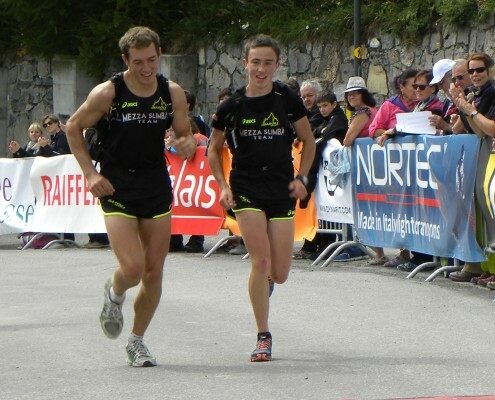 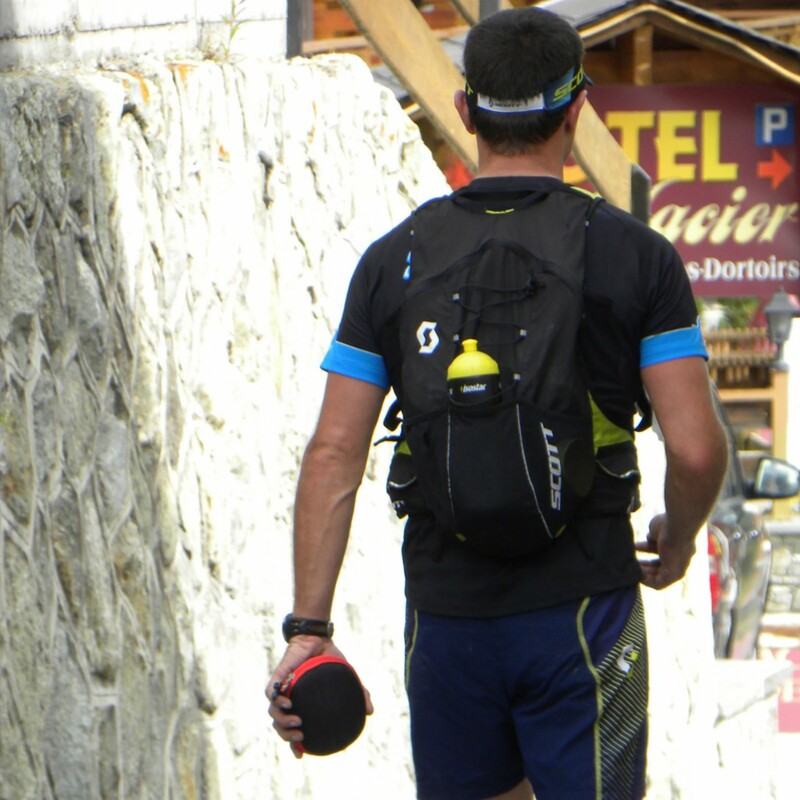 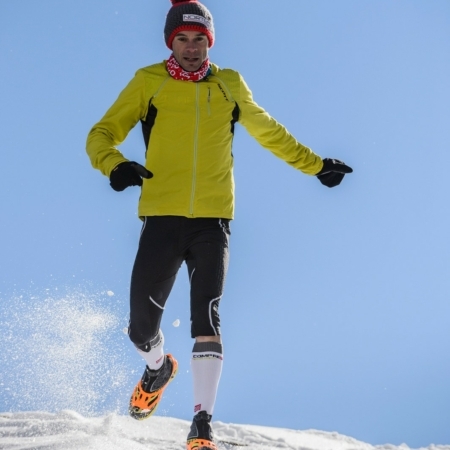 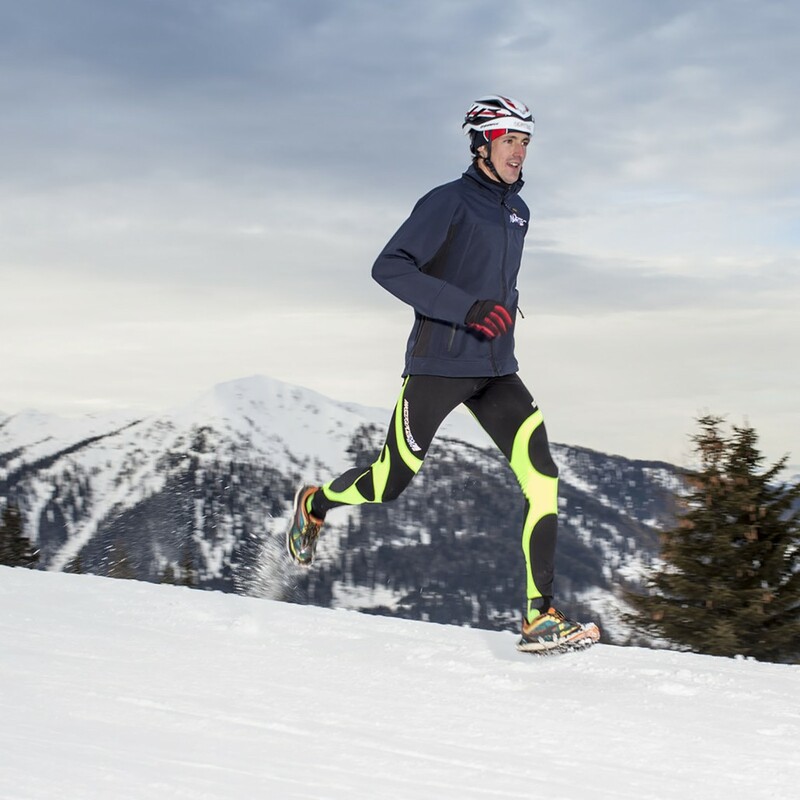 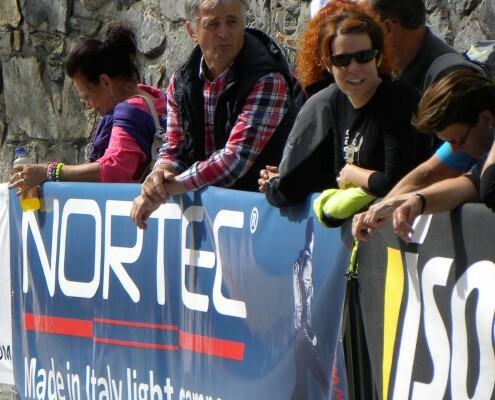 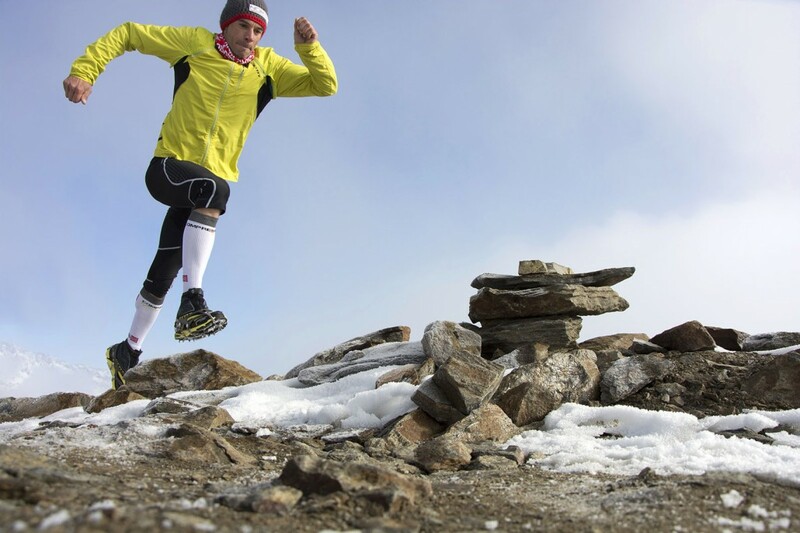 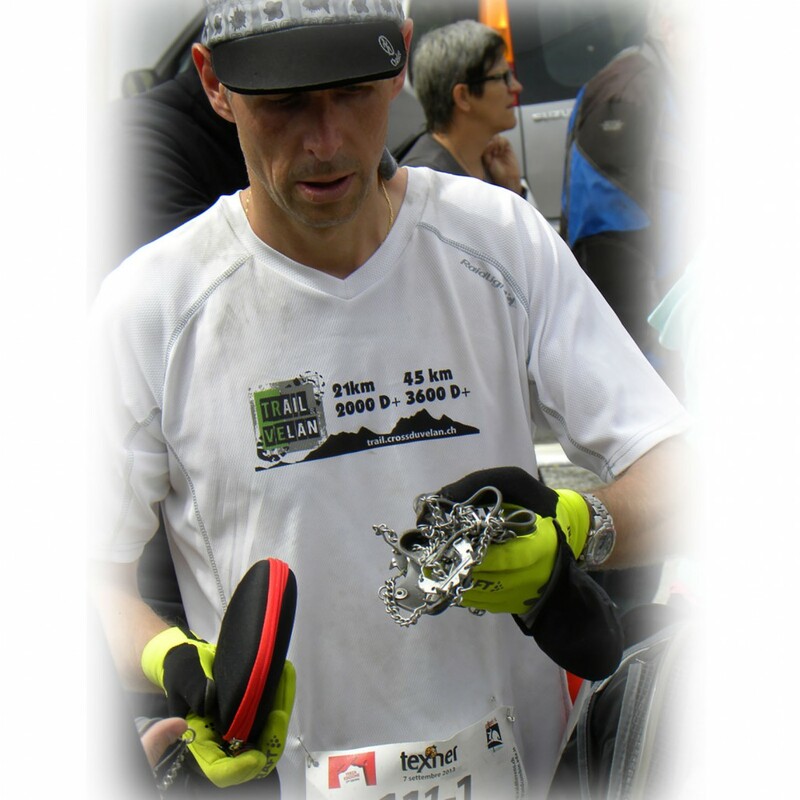 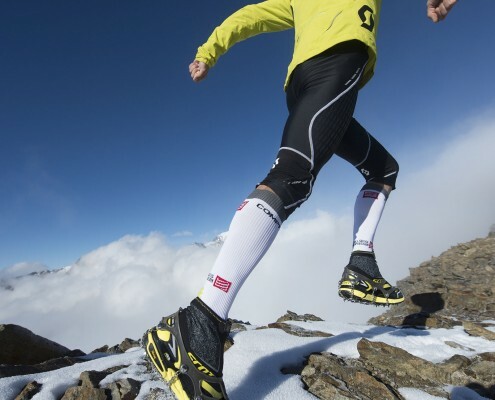 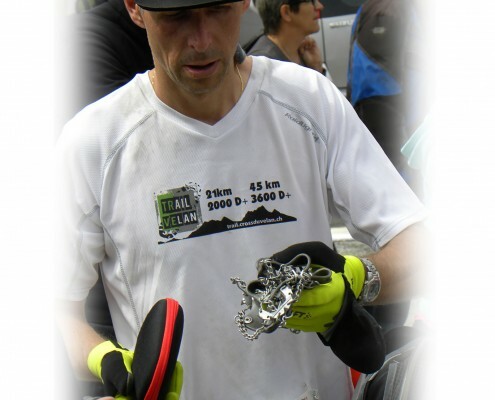 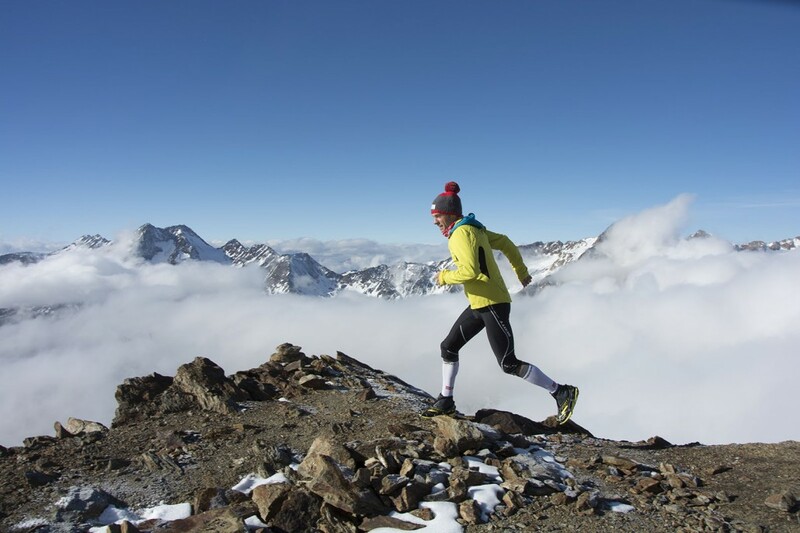 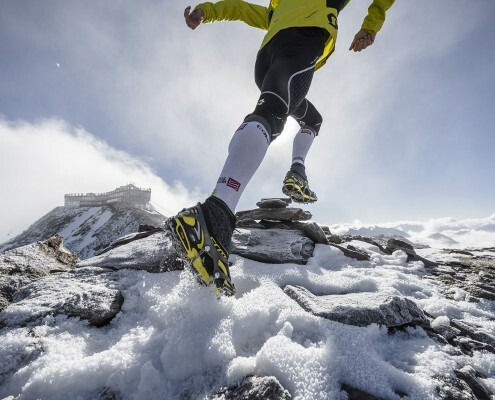 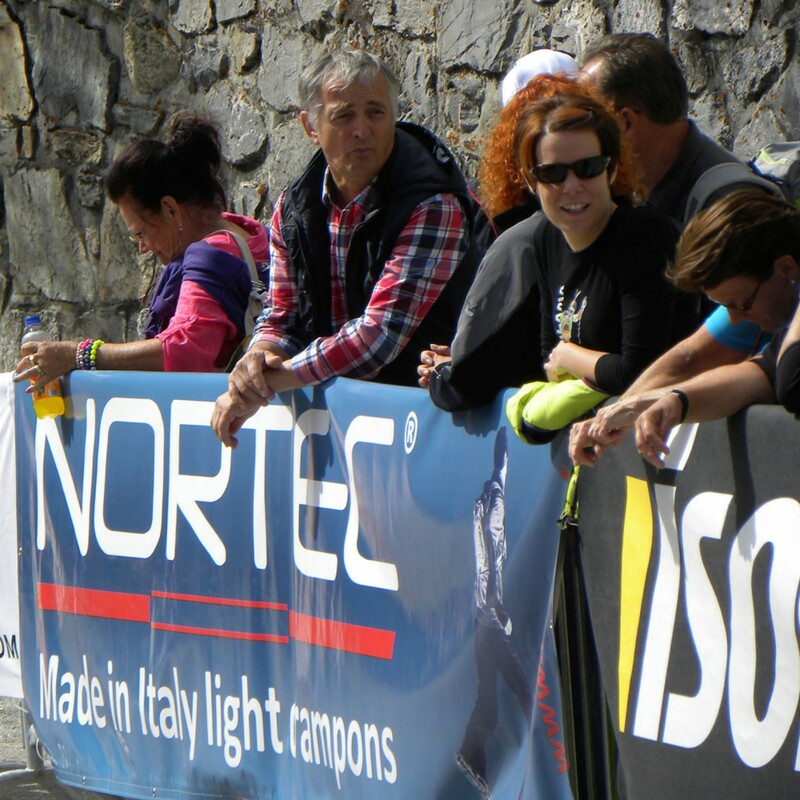 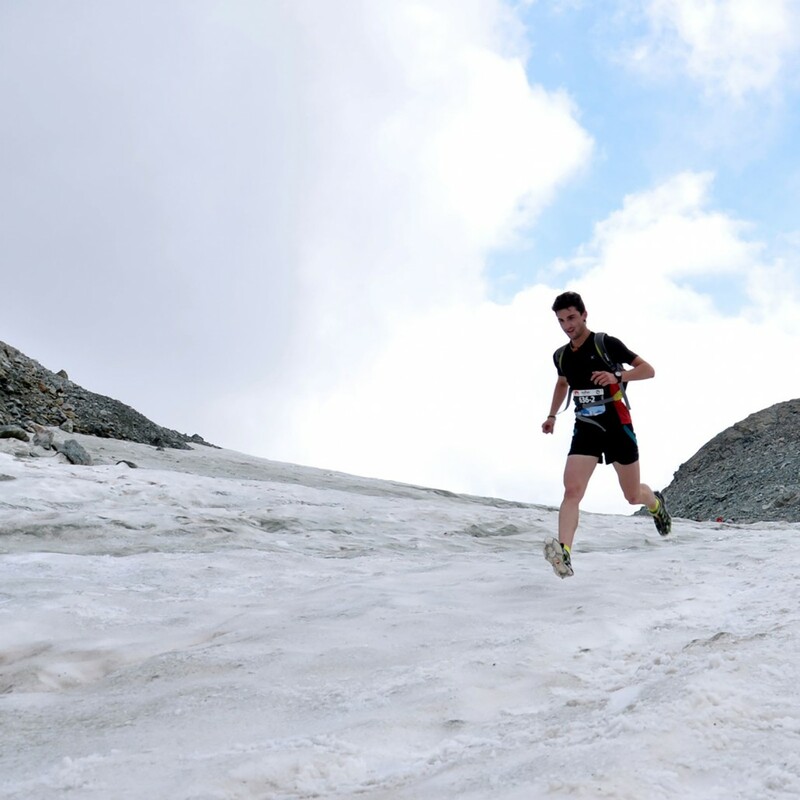 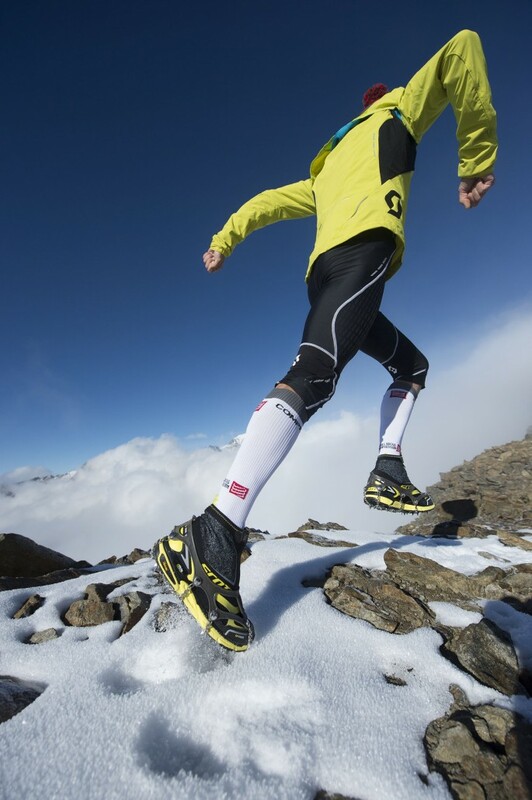 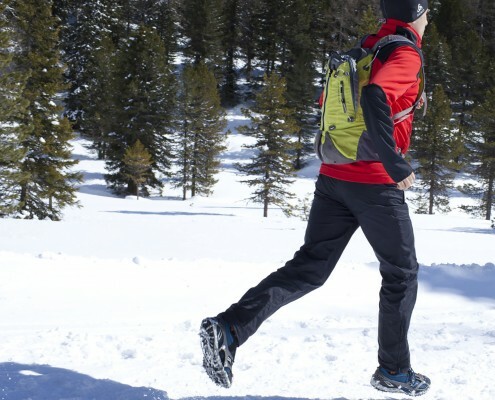 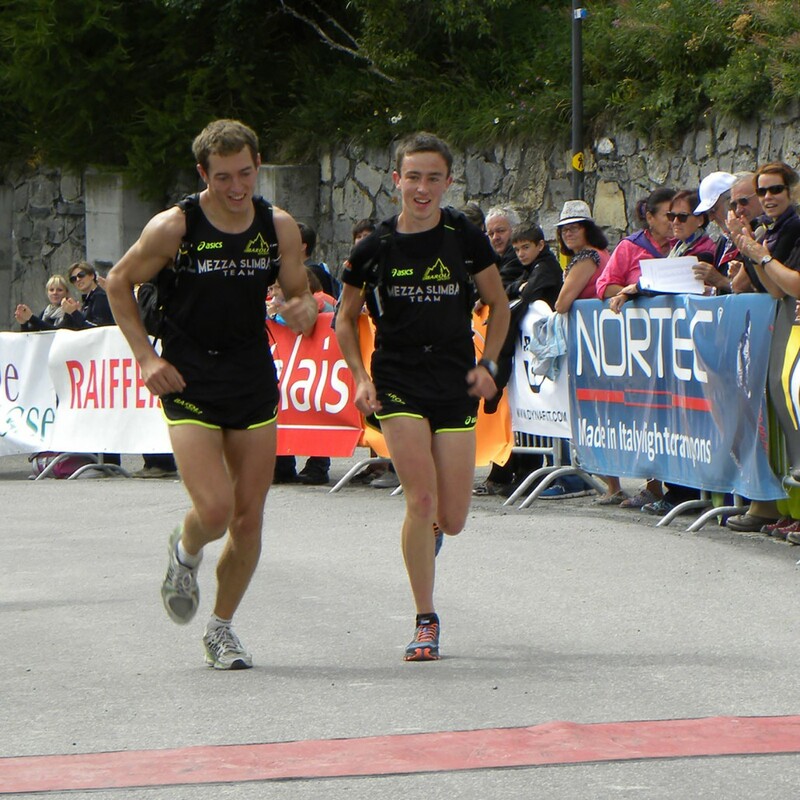 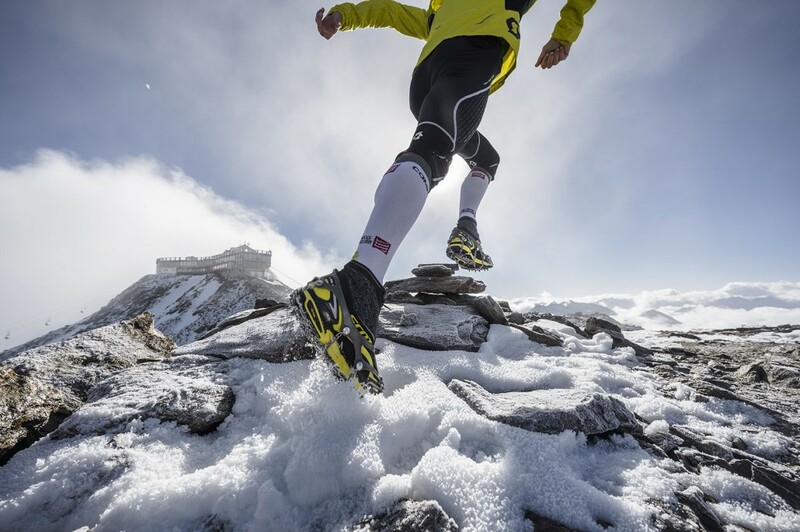 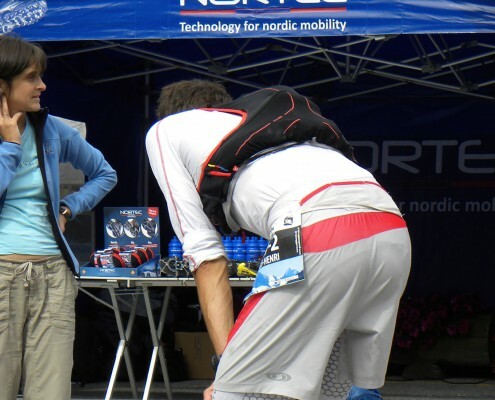 Designed and tested to meet the needs of light mountaineering and outdoor running. 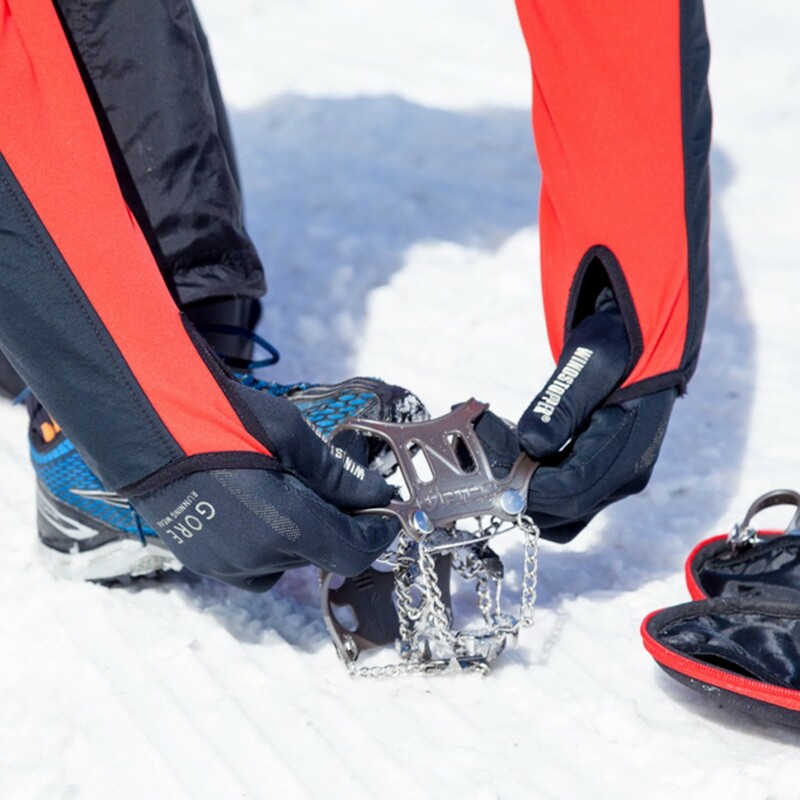 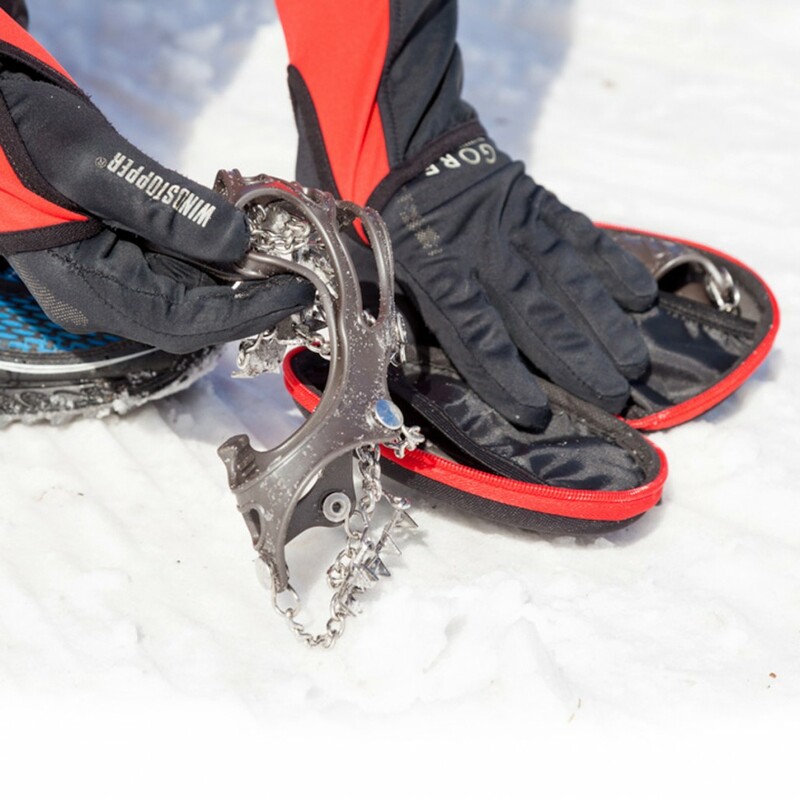 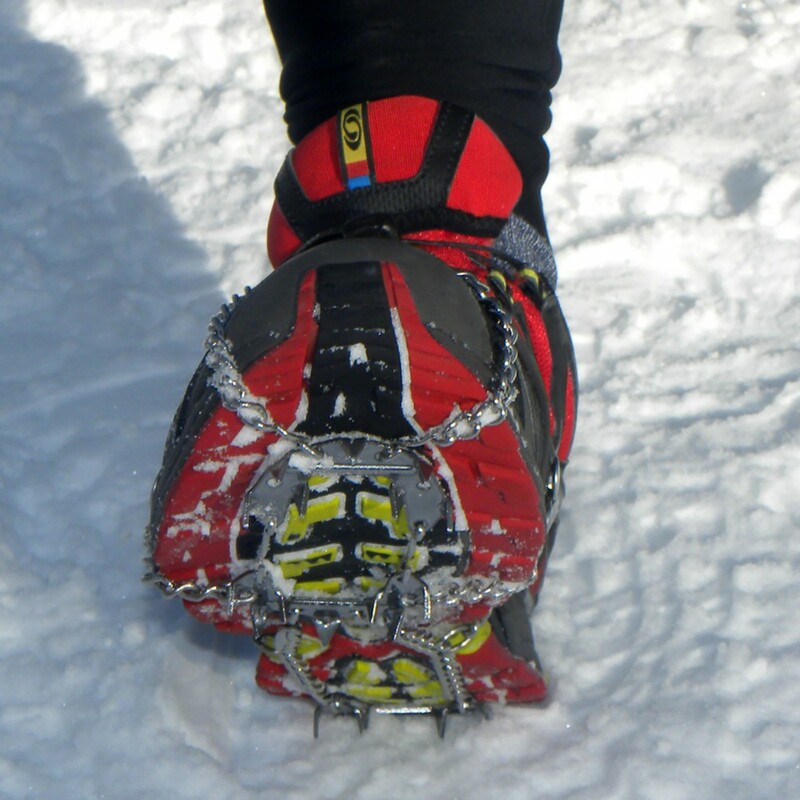 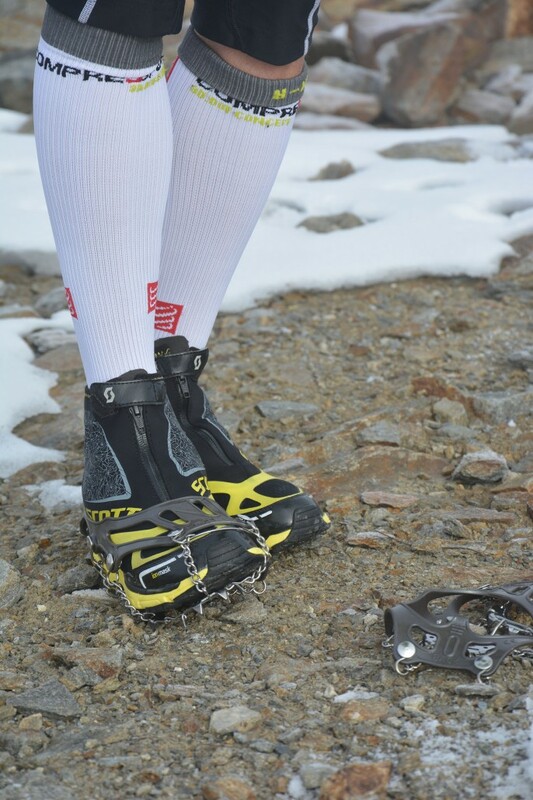 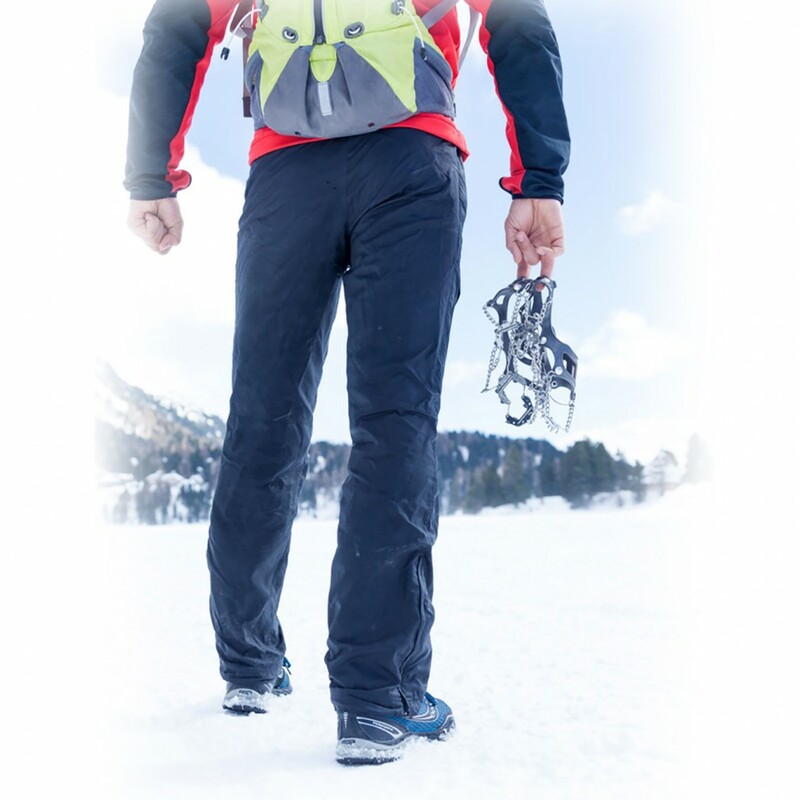 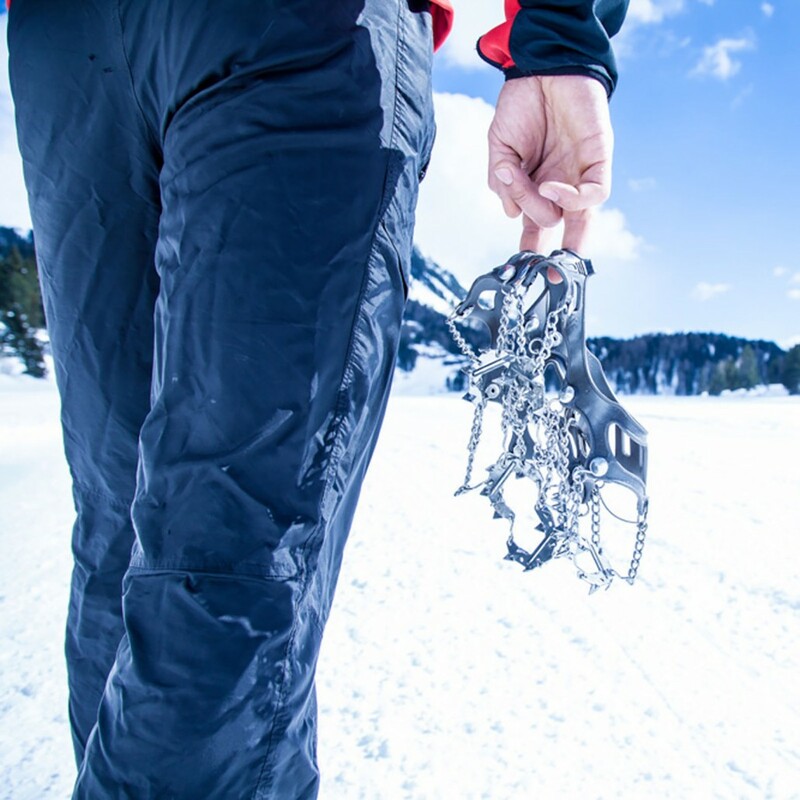 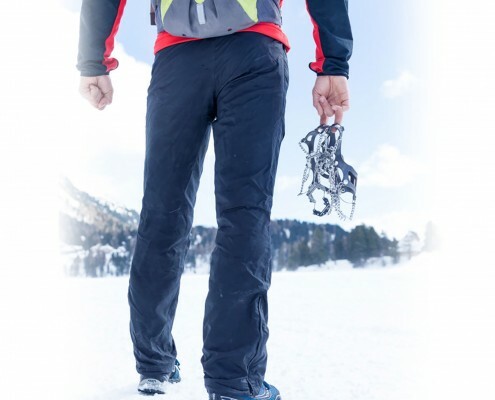 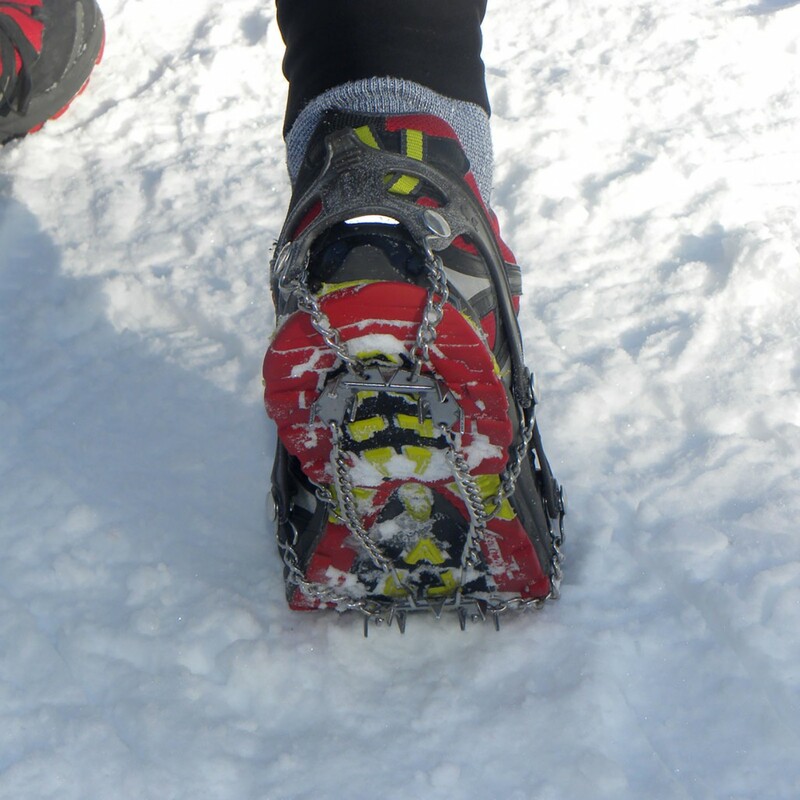 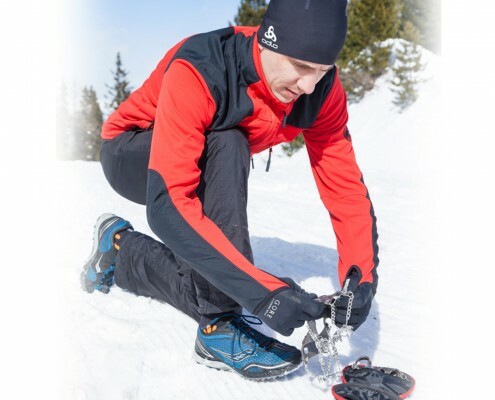 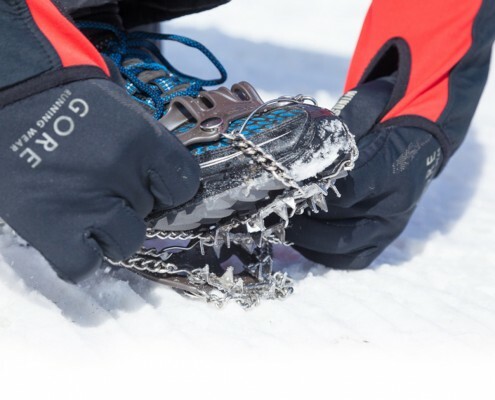 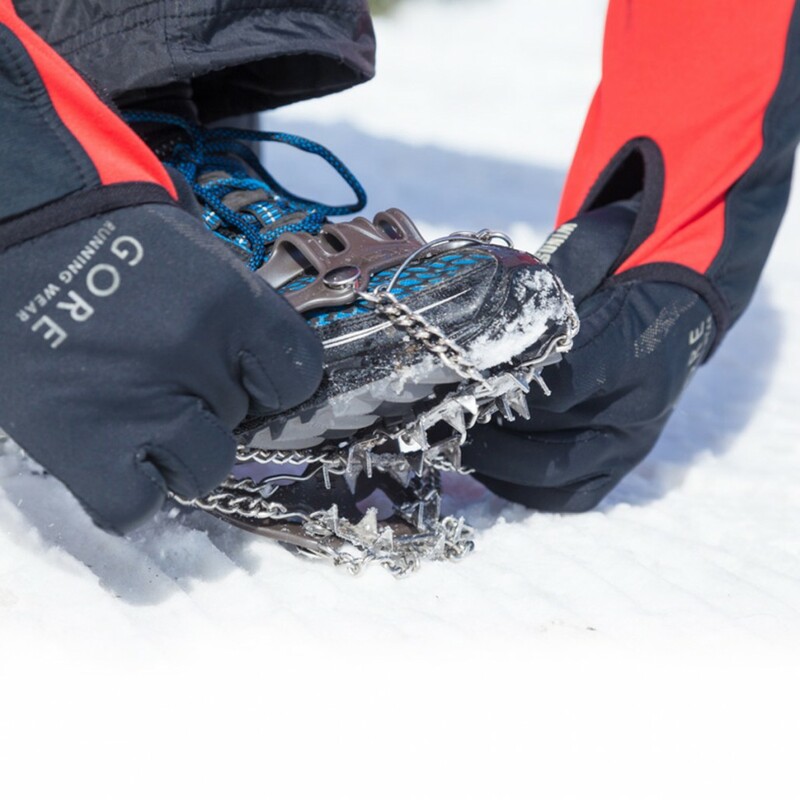 Thanks to the three crampons plates guarantees always a perfect control on ice and hard snow. 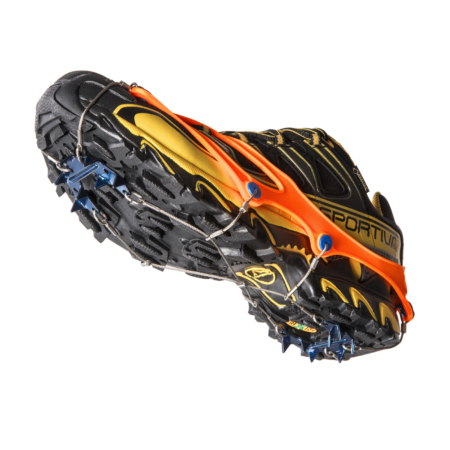 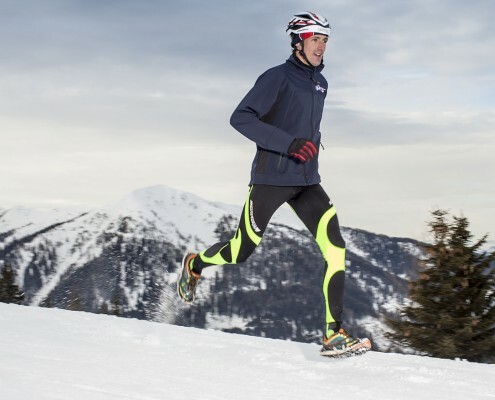 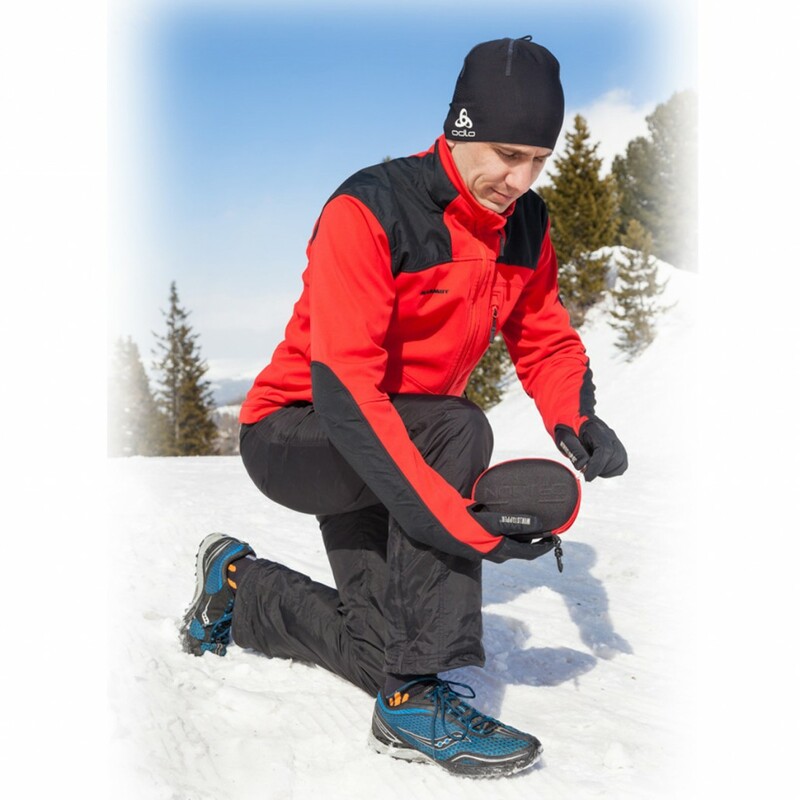 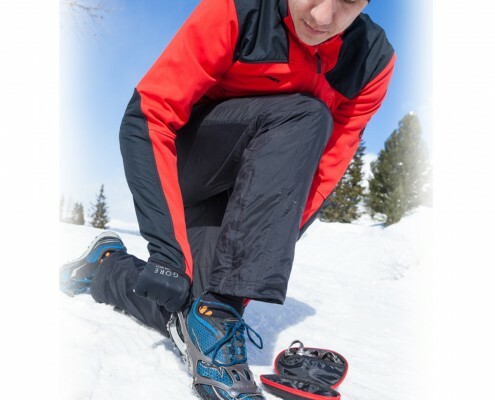 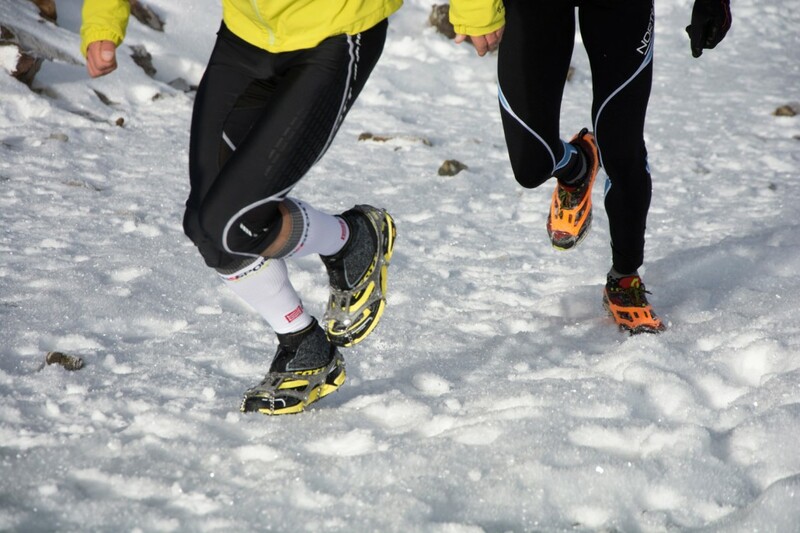 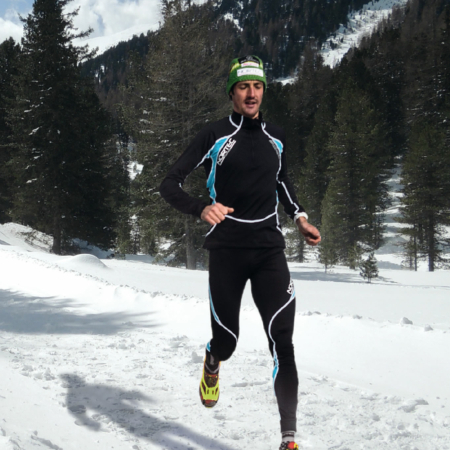 Also suitable for running training on dry, wet or muddy grassland, and for outdoor winter running. 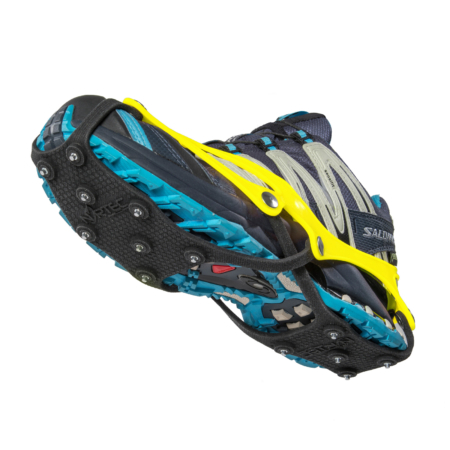 Excellent for outdoor running, light mountaineering and trekking. 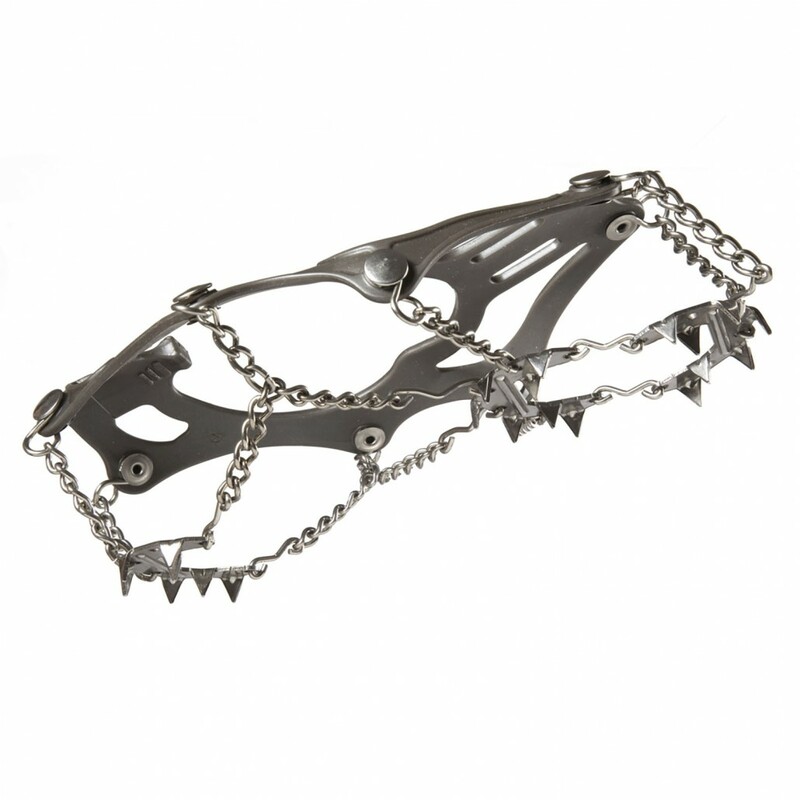 21 steel 8 mm long crampon’s spikes for excellent stability, perfect grip and walking-running comfort. 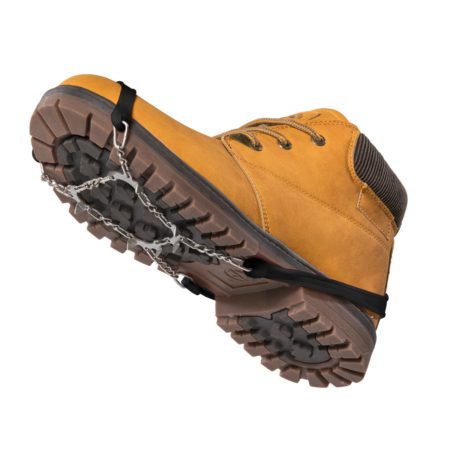 Twisted stainless steel chain to improve the grip and to assure reliability and special connections “eight shape” (pat.pend.) 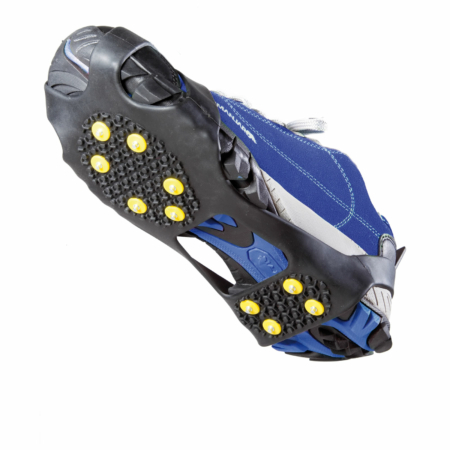 that prevent the release of the rivets from the elastomer even in the toughest conditions. 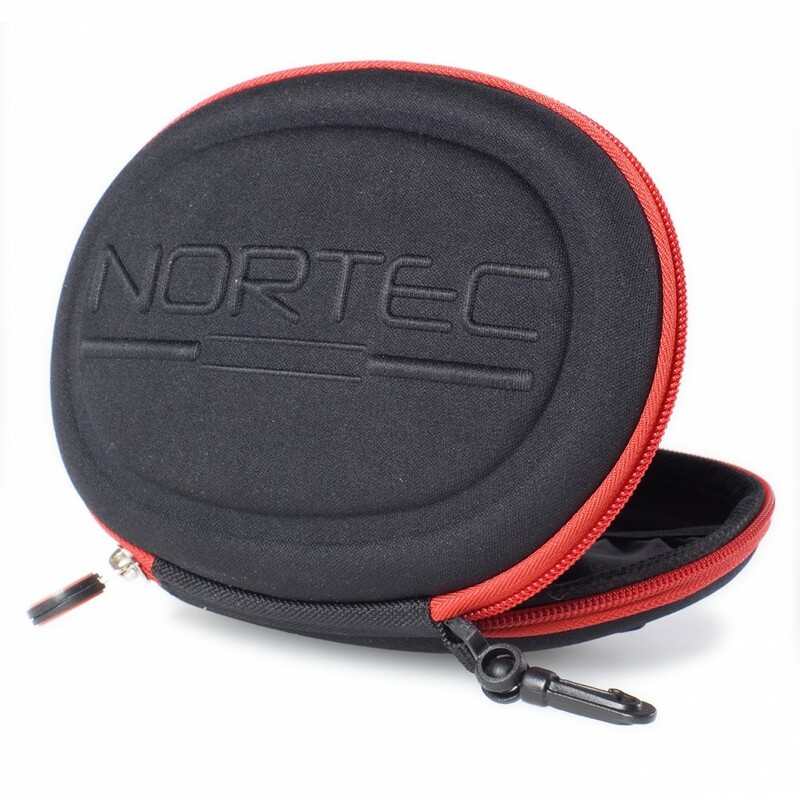 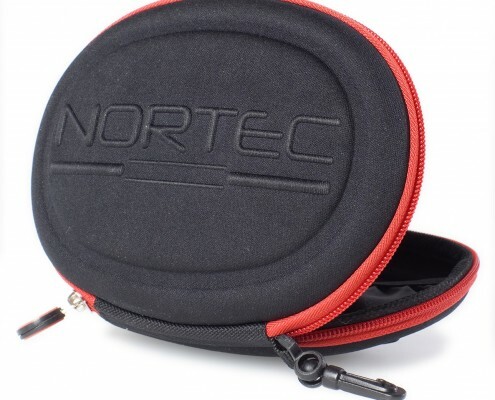 Compact case made of technical and functional material with plastic hook to hang up the case on the backpack. 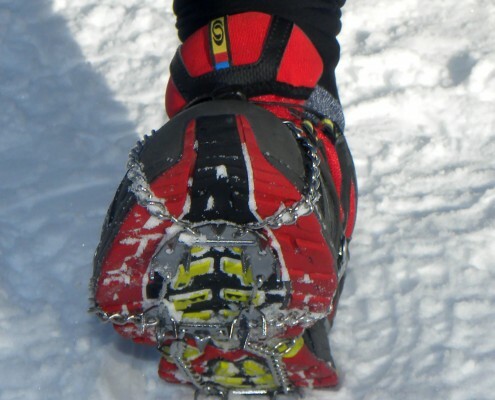 Two different pockets to keep separate crampons and avoid to loss time in the fit.